Social media can be a double edged sword. There's all the terrible aspects of it (the hacks, the curating, the online bullying) but it also allows a connection with people that I think would be difficult any other way. It was through an Instagram post that I was reminded that Elsie + Jeff, one of my all time favourite couples, are celebrating their 6 year anniversary! 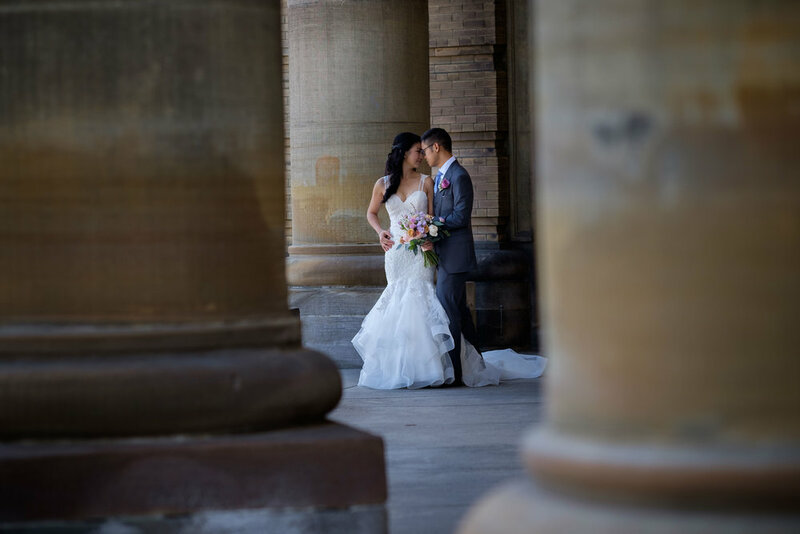 Elsie + Jeff had a fantastic wedding way back in 2012 at the Eglinton Grand event space in midtown Toronto with a wedding ceremony at the always stunning Trinity Chapel on the University of Toronto grounds. A lot of photographers hate looking back at the older work. Am I a better photographer than I was in 2012? 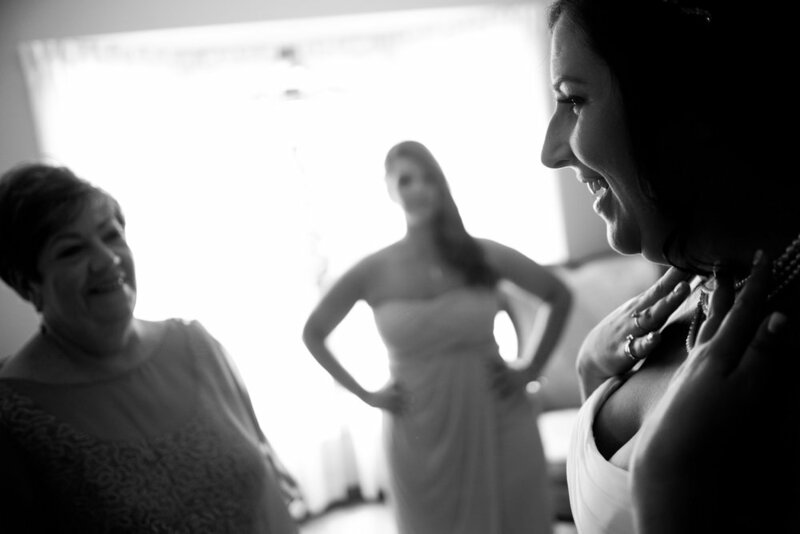 Probably, but it doesn't mean I'm not still proud of the pictures I've created over the years for my wedding clients. And sure, there can be some cringeworthy stuff in there as we all succumb to certain fads, processing styles and technical limitations with the older cameras. And of course the most glaring thing will always be how much you've grown and learned as a photographer over the years. But it can also be a lot of fun looking back at these images and seeing the joy in their faces and the great moments. 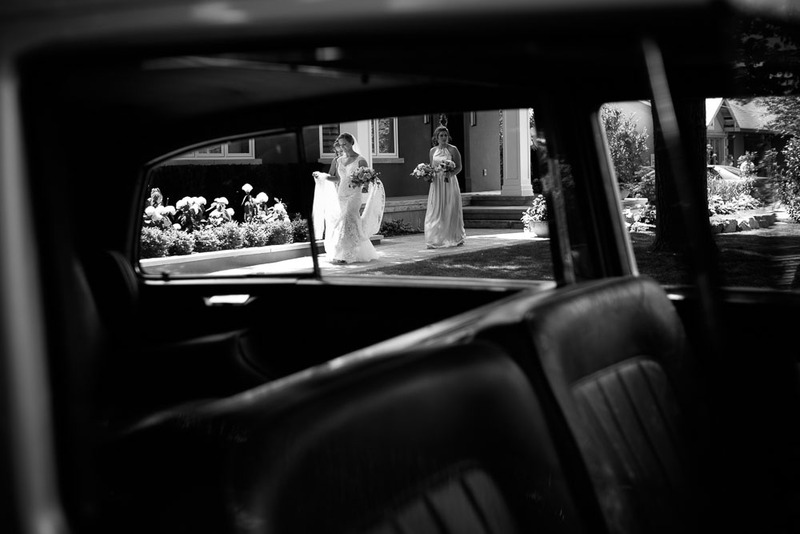 Here are a couple of my favourite images from their Eglinton Grand wedding. 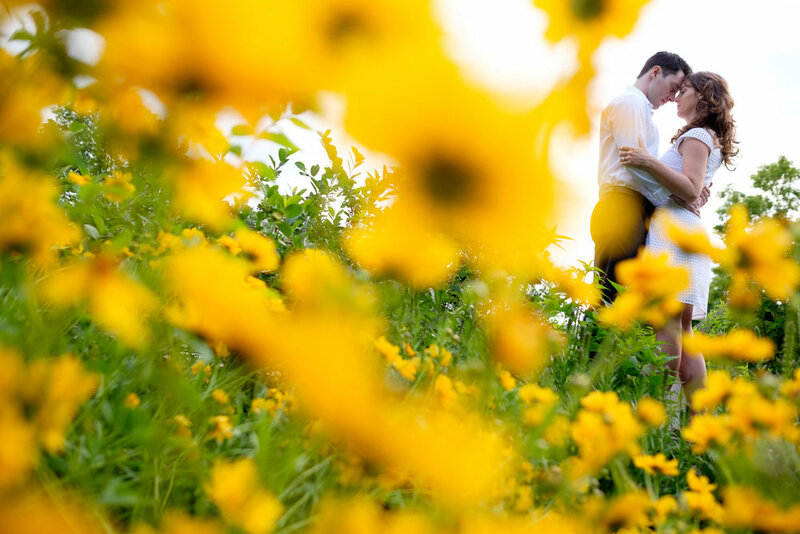 Also check back soon for a family session with Elsie + Jeff's beautiful family! 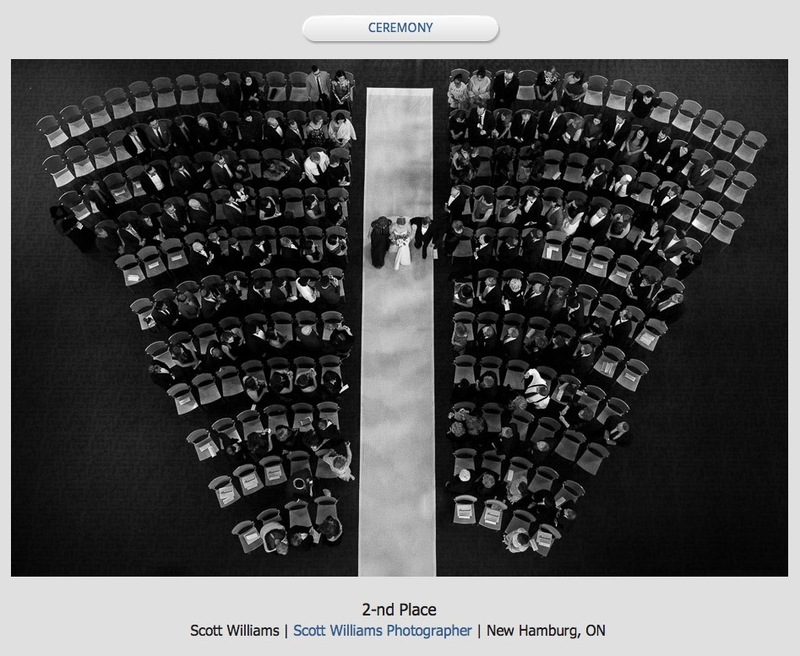 A wedding photograph from Elsie + Jeff's wedding at the Eglinton Grand in Toronto, Ontario by Toronto wedding photographer Scott Williams. 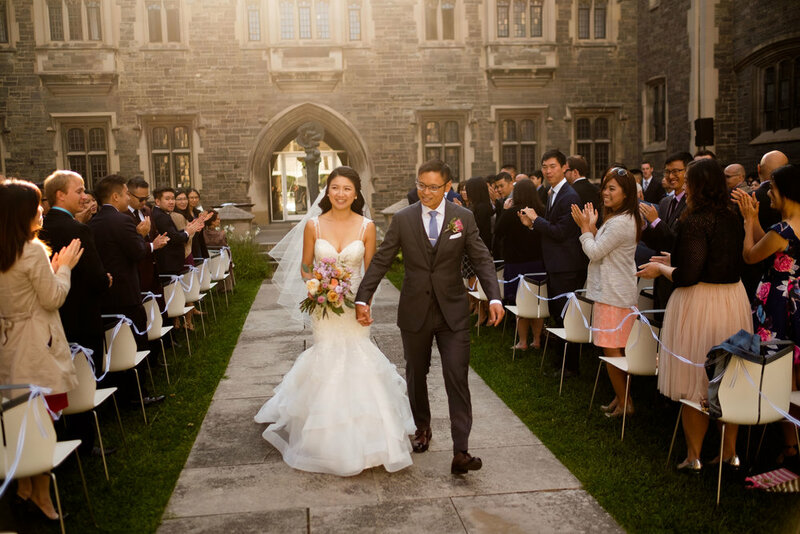 Linda + Andrew didn't choose Hart House on the University of Toronto campus because it looks cool (it does). Or because of the how good the food and service are (they're great!). They actually met on the campus as teenagers attending a summer camp and Andrew later attending for engineering so the entire campus holds a special place in their hearts. And as luck would have it, I chose the exact spot where Andrew proposed for their first look... I swear I didn't know! We made great use of the campus for portraits, since they're was no wedding party we were able to move quickly getting lots of great pictures! 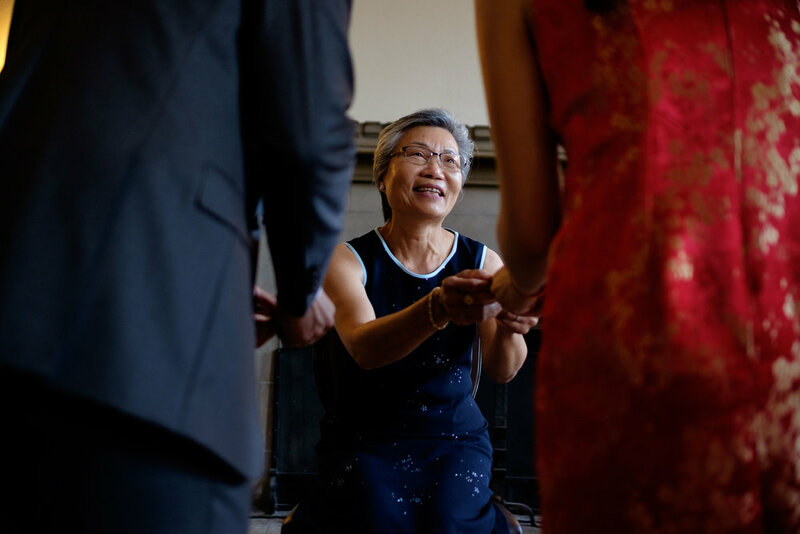 Linda and Andrew then held a traditional Chinese tea ceremony for their relatives quickly followed by a western wedding ceremony held outdoors in the Quad at Hart House. 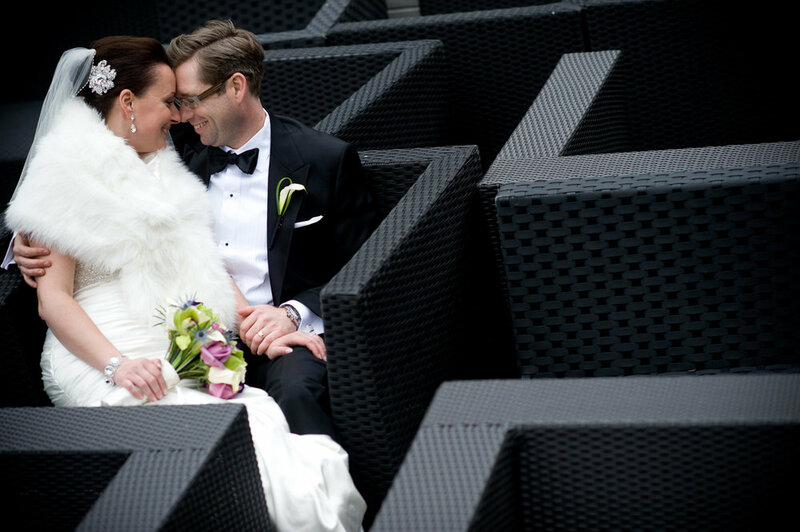 The wedding ceremony was held outdoors in the courtyard of Hart House. I had a great time during cocktail hour as the DJ played movie themes trying to guess which one it was... it's not as easy as you think without the visuals in front of you! We got lots of great family pictures and everyone had a chance to sample the amazing appetizers and enjoy a cocktail as the sun began to set. 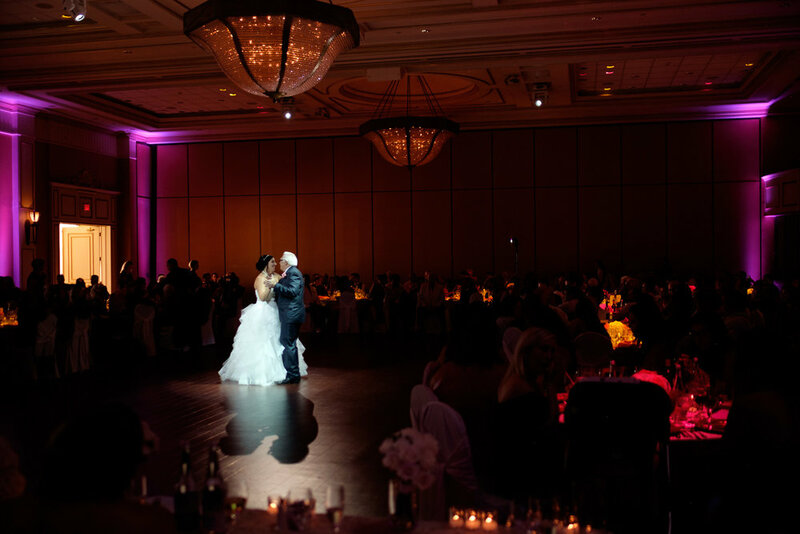 Linda and Andrew entered their wedding reception and performed a beautifully choreographed first dance for all their guests! The dinner itself was really relaxed with only a few speeches which gave Linda and Andrew plenty of time mingle and socialize with all their guests. 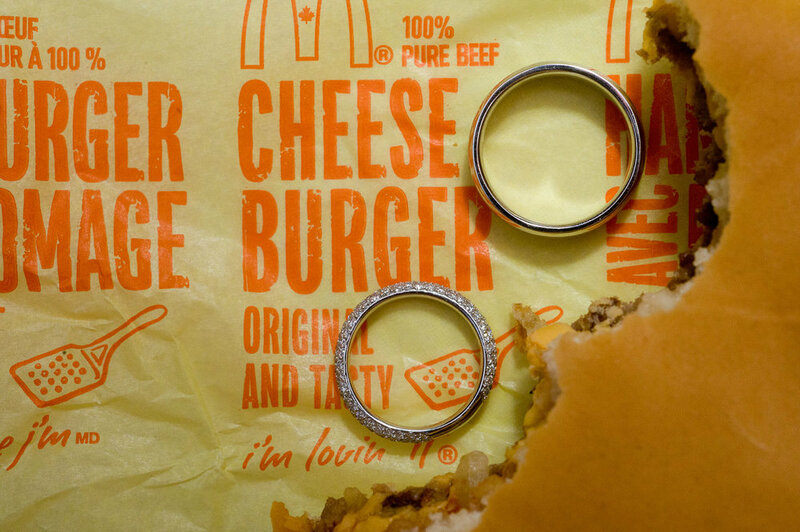 Too often at a modern, hectic wedding this can get overlooked. 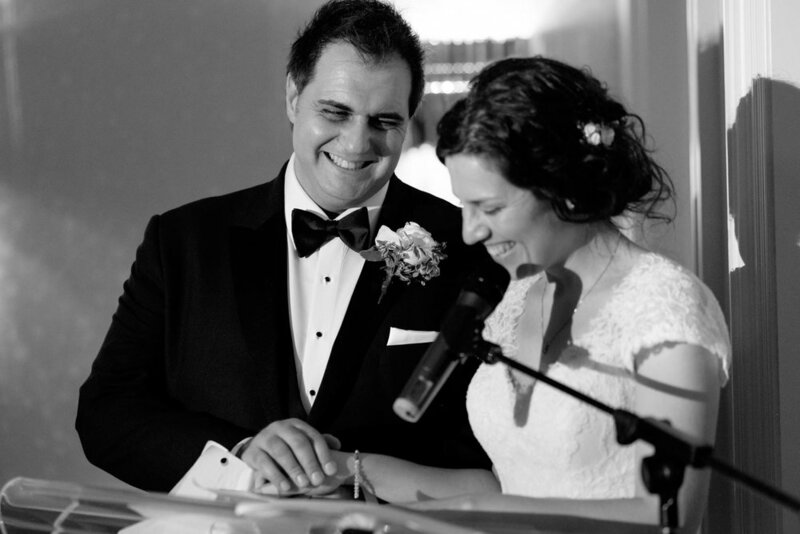 One of the best moments during the reception was when Andrew flexed his singing muscles and serenaded Linda with a song. You can check out some of my favourite wedding images above and their full wedding slideshow below! 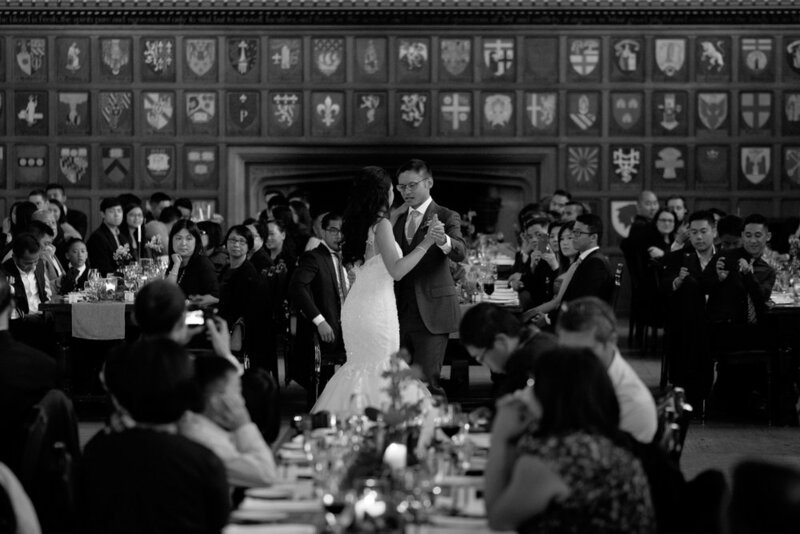 Jenny + John had an amazing autumn wedding at Graydon Hall in Toronto. For a November wedding we really couldn't have asked for better weather, sunshine and warm all day. Both Jenny and John spent the morning getting ready at their parents beautiful homes in Etobicoke. 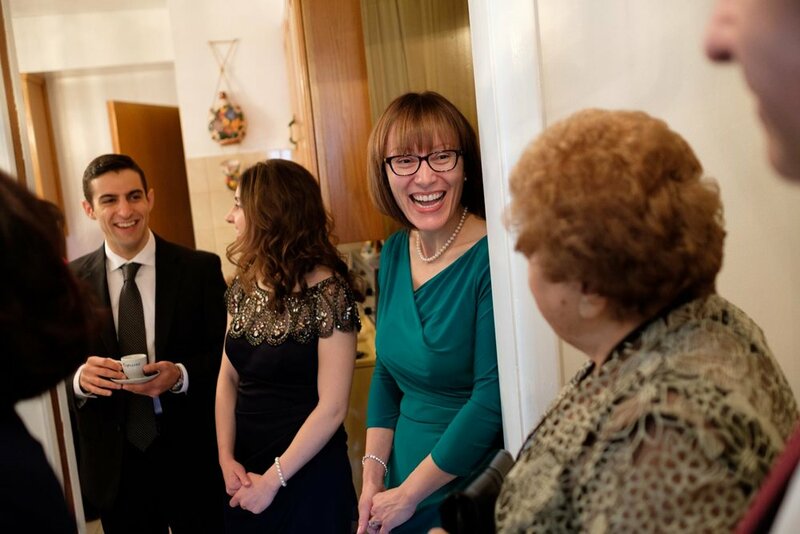 It's always nice to have the bride and groom surrounded by friends and family as they prepare for the big day. 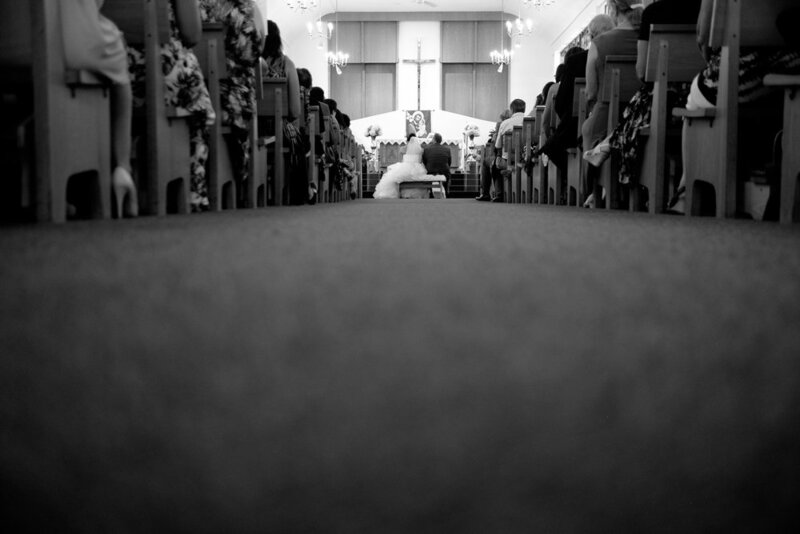 The ceremony was at St Mary's, a beautiful old downtown church that I love shooting at. After the ceremony we gathered everyone outside on the church steps for a nice group photo. A lot of my couples ask for this picture and I'm always happy to find a way to make it work. 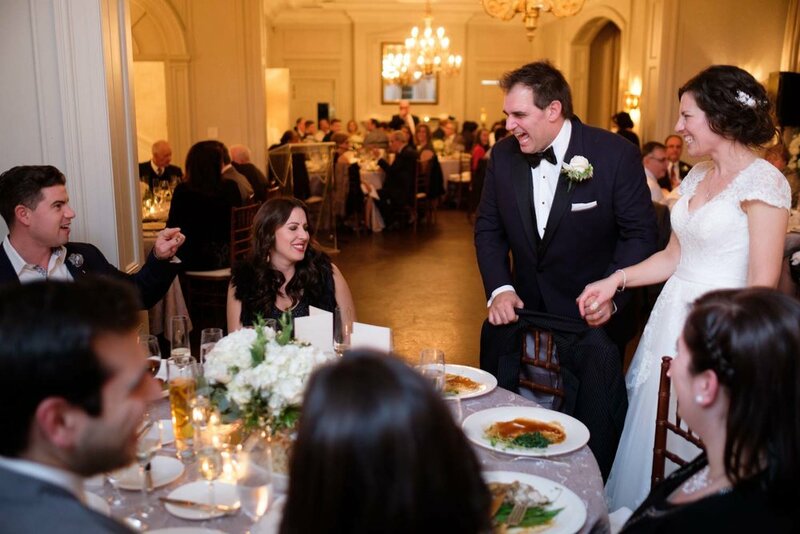 Jenny and John took the time to great each and every one of their guests as they arrived for the reception, a nice touch that showed how much they value their relationships with their friends and family. After they made their big entrance we had one of the coolest moments from the day when John's cousin played guitar and sang for their first dance. The food as usual at Graydon Hall was amazing. After Jenny + John and gave a really heartfelt speech we had some parent dances and then the dance floor was open for partying. 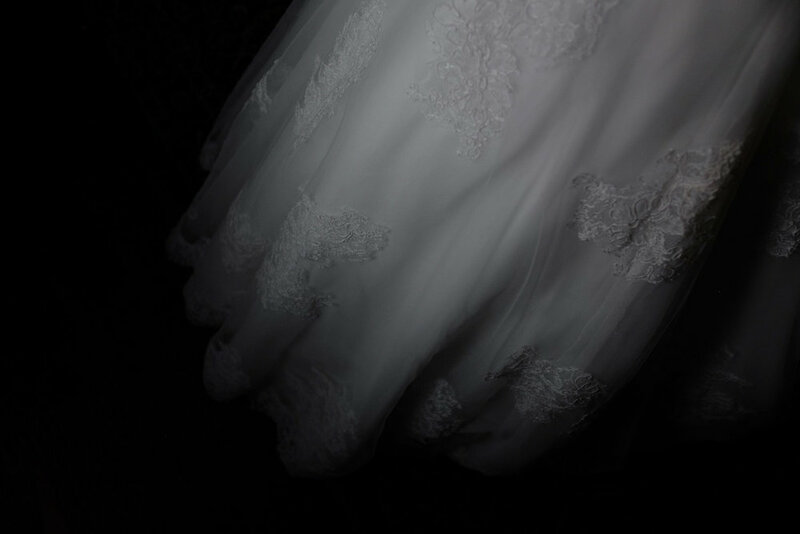 You can see some of my favourite pictures from their wedding above as well as the full wedding slideshow below. 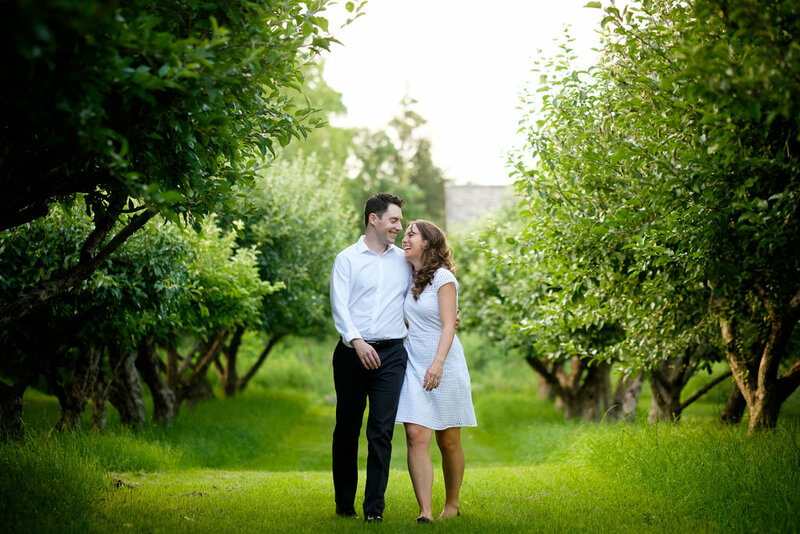 You can also see Jenny + John's engagement photos from the Guild Inn. 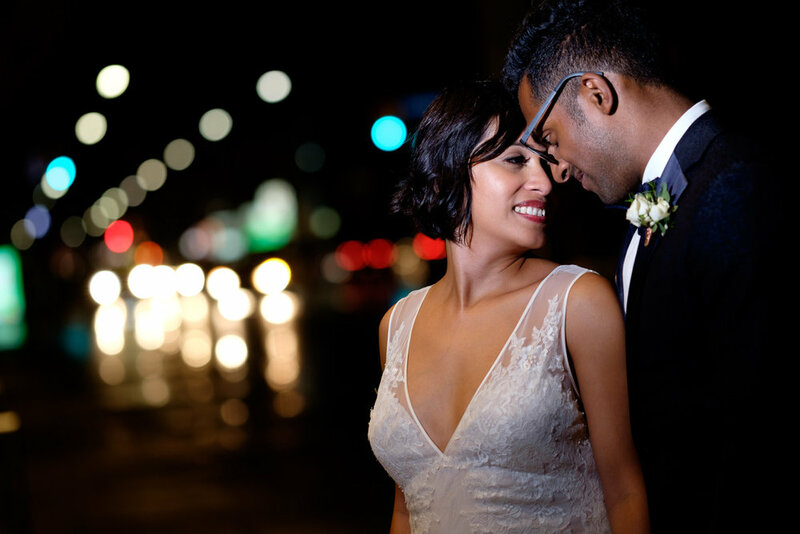 Najwa and Trevin had an amazing wedding at the Art Gallery of Ontario in Toronto! These two had a real sense of style and an individual look that I really liked! 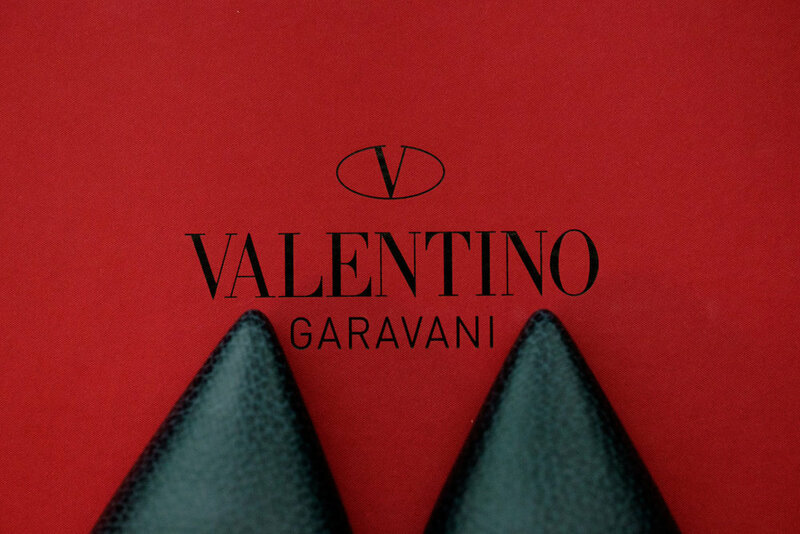 Those shoes by Valentino were something else! Trevin's blue shoes were great too! I spent the morning going back and forth between the girls and guys but if you ever get a chance to get ready for your wedding in a suite at the Four Seasons I highly recommend it. :) The rooms are simply stunning... full of light and lots of room to shoot. Trevin and his boys (and one girl!) got ready over in his suite at the Park Hyatt in Yorkville. 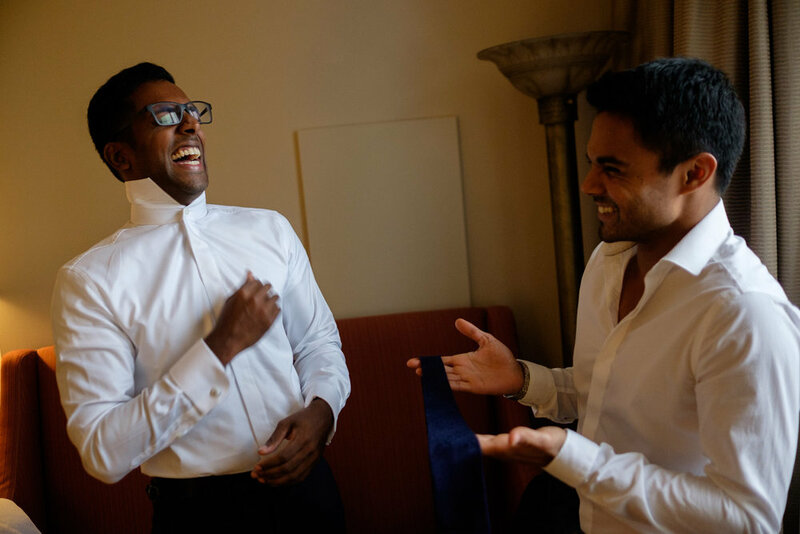 The first thing anyone would notice meeting Trevin is his amazing, infectious laugh... 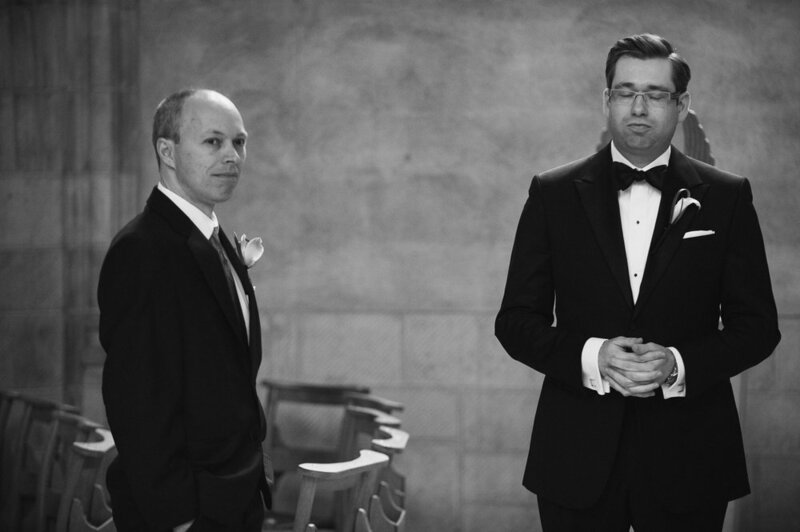 I don't think I've ever had a wedding where I've had so many pictures of the groom laughing! 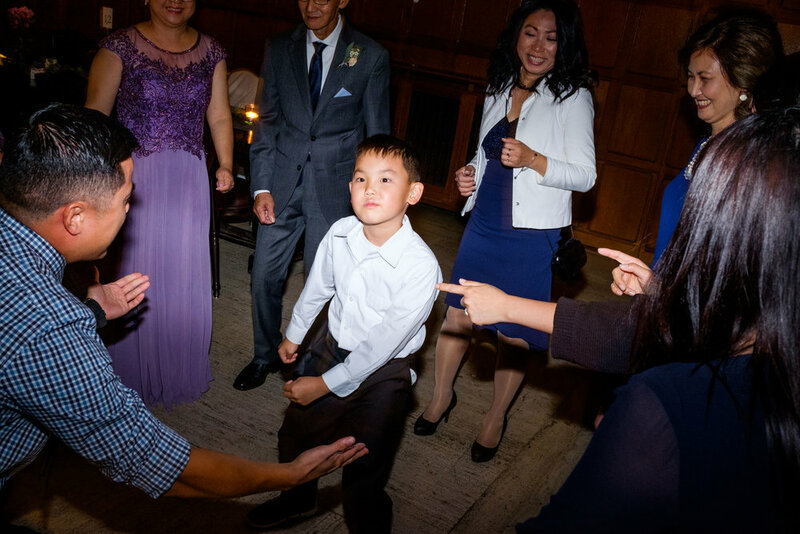 Once Trevin's crew were ready, his family joined them for a traditional pre-wedding blessing before heading off to the church for the ceremony. The day threatened (and did) rain all morning but thankfully it ended by the time we needed to head off to the ceremony at St Basil's Catholic Parish. Being a Saturday in the summer in Toronto, there was some sort of parade/festival/gong show going down Bloor so we all had to abandon our taxi's and Uber's and hustle down on foot! 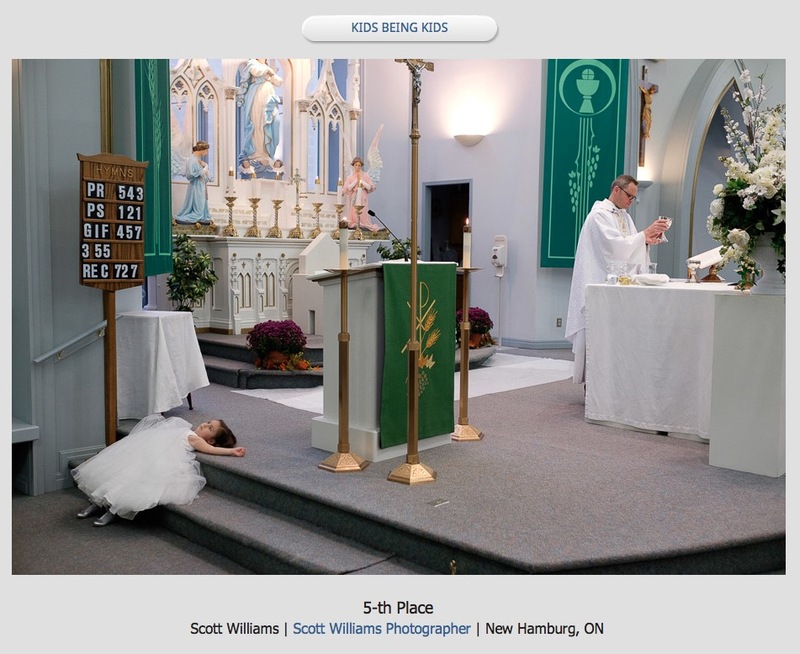 The ceremony at St. Basils was great, it's always nice when churches don't have too many rules about photography. I'm always discete and respectful when I photograph wedding ceremonies but I'm also trying to get my clients the best pictures possible! 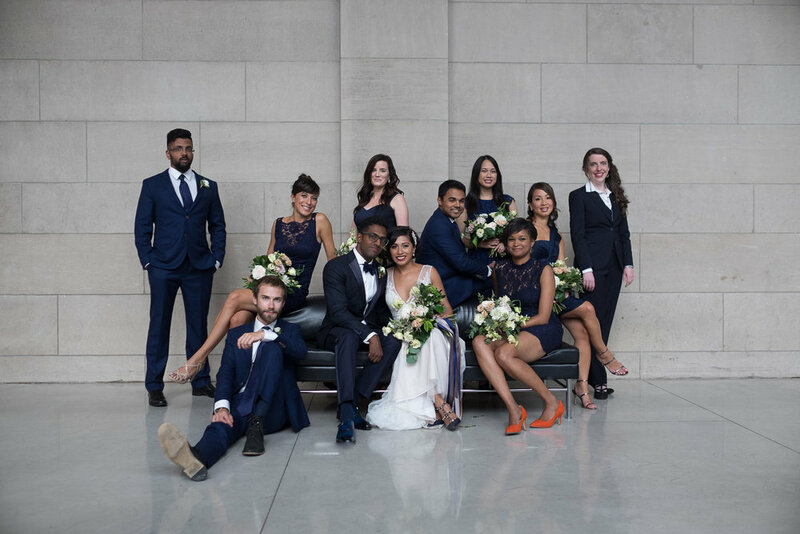 One of the best parts about having your wedding at the Art Gallery of Ontario is that you get to access to their beautiful galleries for wedding pictures! Cocktails were held in the Galleria Italia and the reception was upstairs in Bailey Court with an amazing view of the Toronto Skyline. 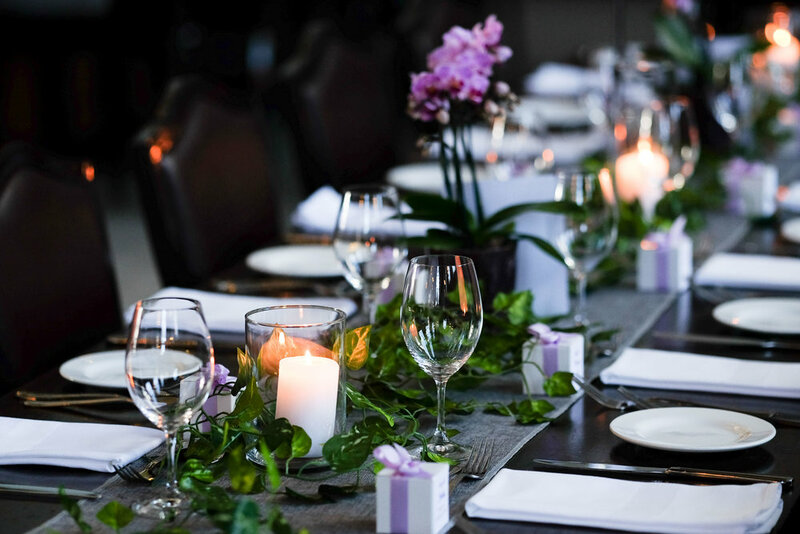 The details at the reception were great, Coriander Girl did an amazing job with the florals! 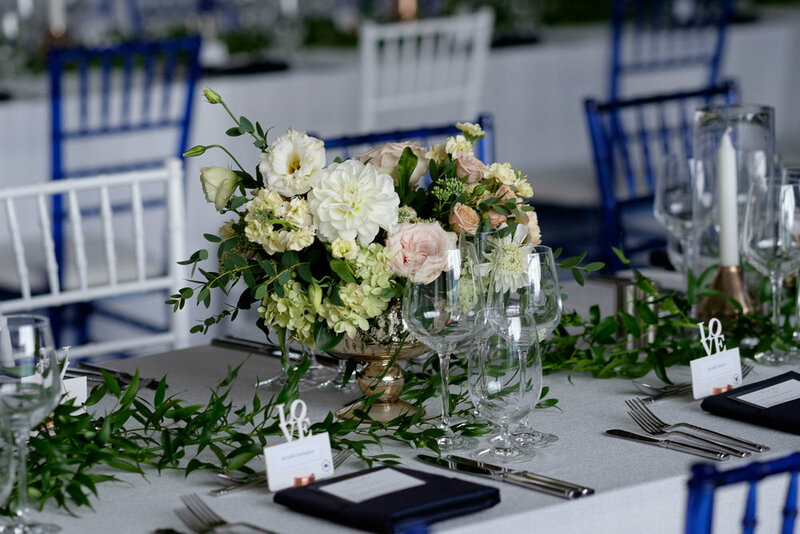 Danielle and her team from Love by Lynzie did an amazing job planning and coordinating the wedding... everything looked amazing and went off without a hitch! The reception was great with DJ Dopey & DJ Serious spinning some great music. 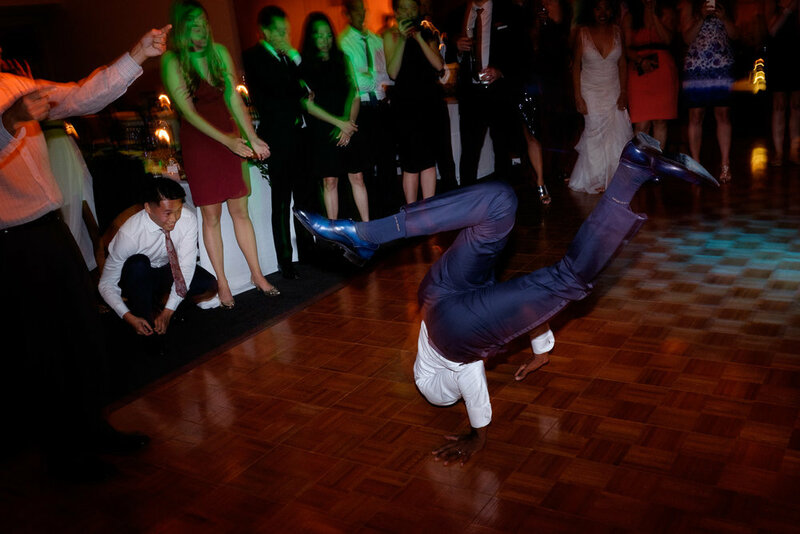 Of course the highlight of the reception was when it was announced that Trevin and some of his buddies were semi pro breakdancers and proceeded to put on an amazing show for everyone. 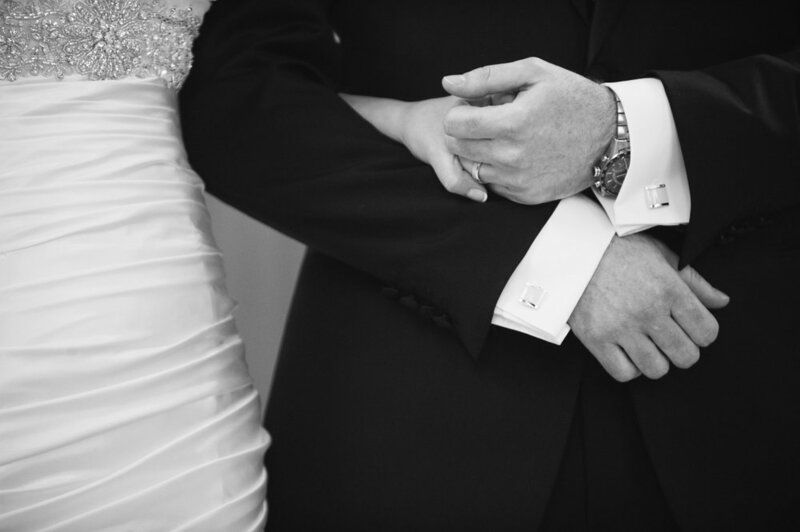 You can see some of my favourite wedding images in the gallery above as well as their full wedding slideshow below! 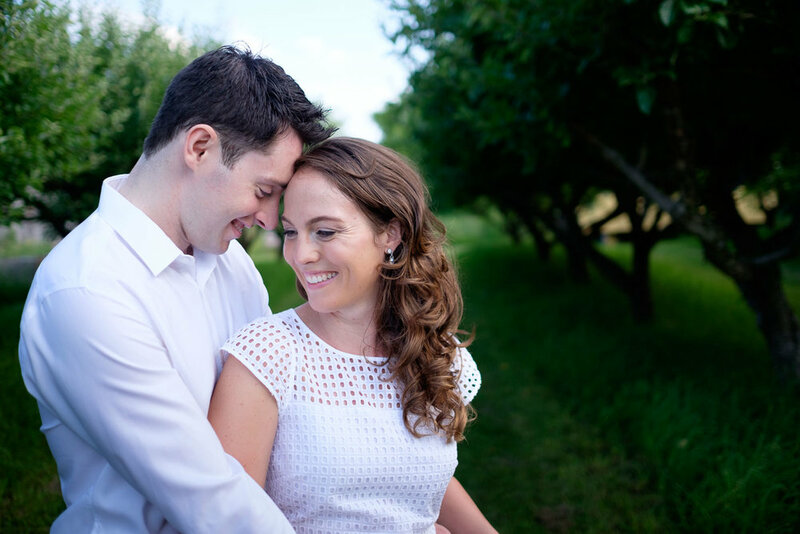 You can also follow this link to check out Najwa + Trevin's Stratford Ontario engagement pictures! 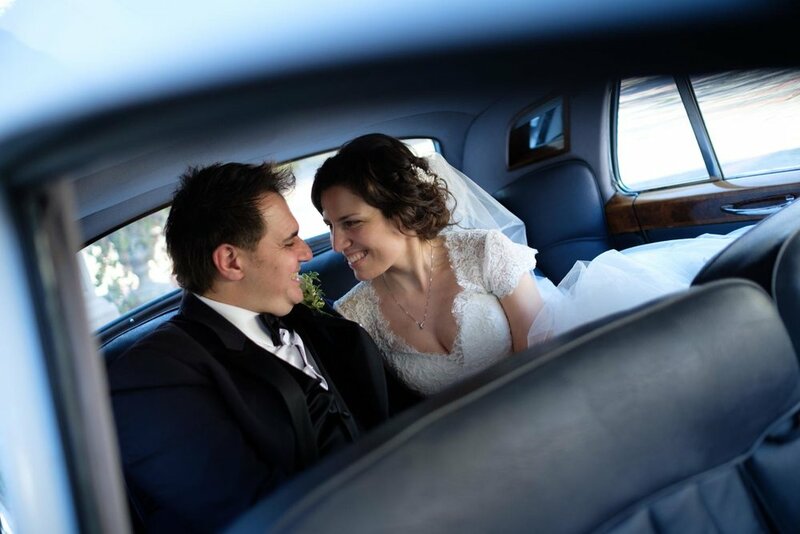 I have an ongoing series I call Heirloom Wedding Photographs where my couples choose the one image from their wedding that means the most to them. My grand-papa and I always had a strong bond. I spent many summers when I was young in Chicoutimi with him and my grand-maman. 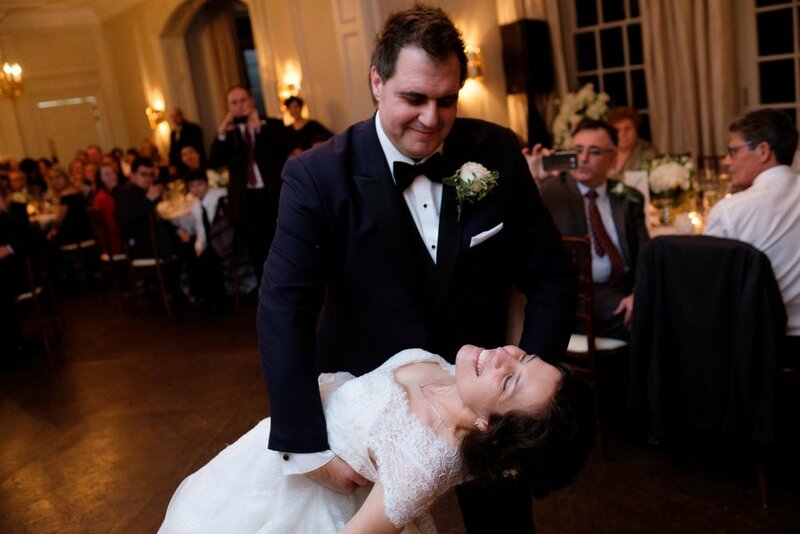 It meant so much to me that he made the trip for our wedding in October, especially knowing he didn’t like to leave the comfort of his home in recent years. 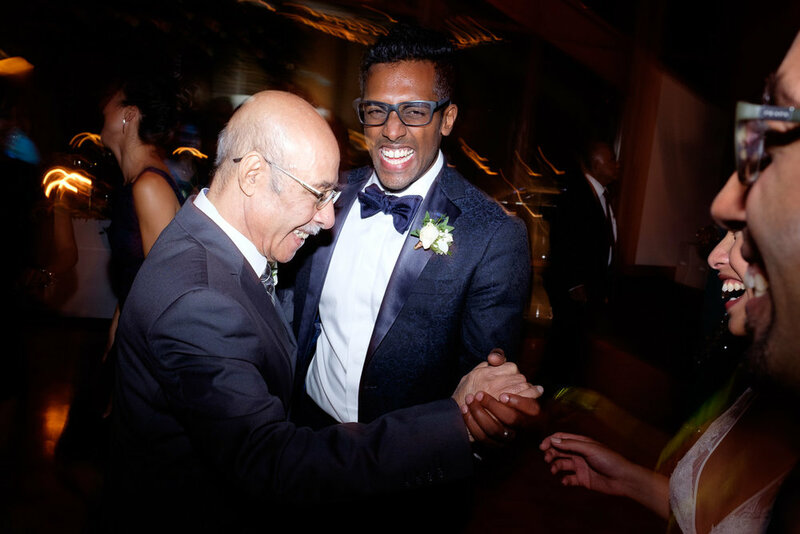 I still remember the emotion on his face from this moment, so happy and proud to see his eldest grand-daughter be married. I am so grateful Scott was there to capture it. What makes this picture even more special is that my grand-papa passed away almost 6 months to the day of our wedding. I will cherish this picture for the rest of my life and remember a man that brought so much joy and love to my life. Thank you so much for sharing this image Emilie. 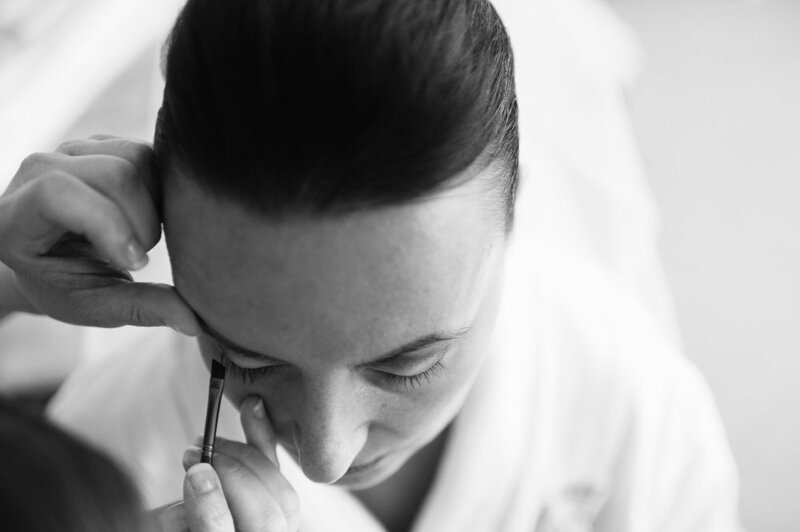 You can see the rest of Emilie + John's Toronto wedding at 99 Sudbury. We should just start with the obvious thing here.... Melanie & David's wedding had one of the coolest, most impressive things I've ever seen at a wedding. 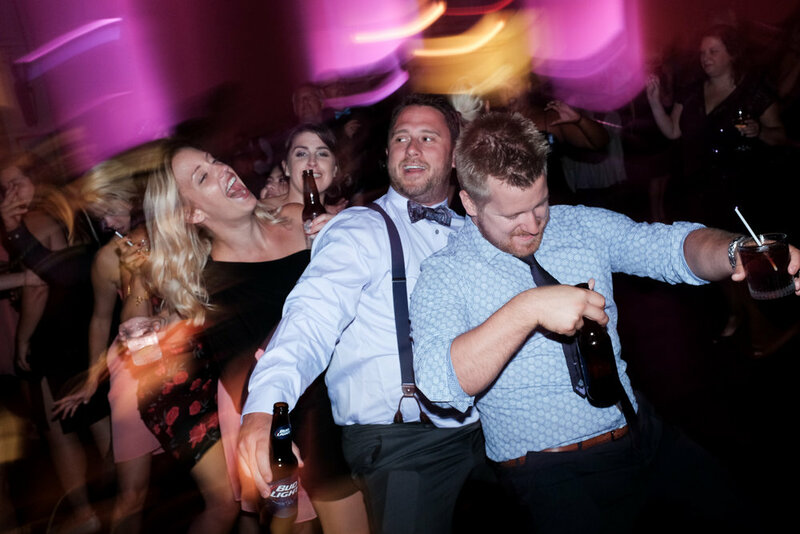 As the best man was giving his speech he asked Melanie & David to join them on the dance floor for a Seinfeld trivia rematch... once they got down there, all hell broke loose. Melanie is part of a community theatre group and a LOT of the guests were too. 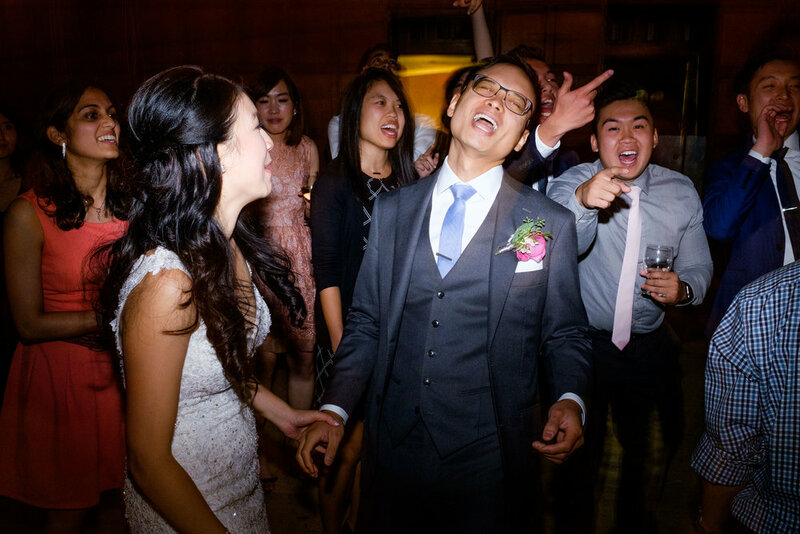 All of them proceeded to surprise the couple with a surprise 50+ person flash mob song and dance number! This thing was choreographed and had original lyrics, needless to say Melanie & David were floored and could barely contain their emotions. It was such a cool thing to see! As for the rest of the day, the morning started out with me and the girls for hair and makeup but there were lots of familiar faces since Emilie, who's 99 Sudbury wedding I photographed, was one of her bridesmaids! A quick visit with the guys, who showed off their monogramed Blue Jays hats, and it was off to the church for a really nice Catholic wedding ceremony at St Josephs Parish in Scarborough. 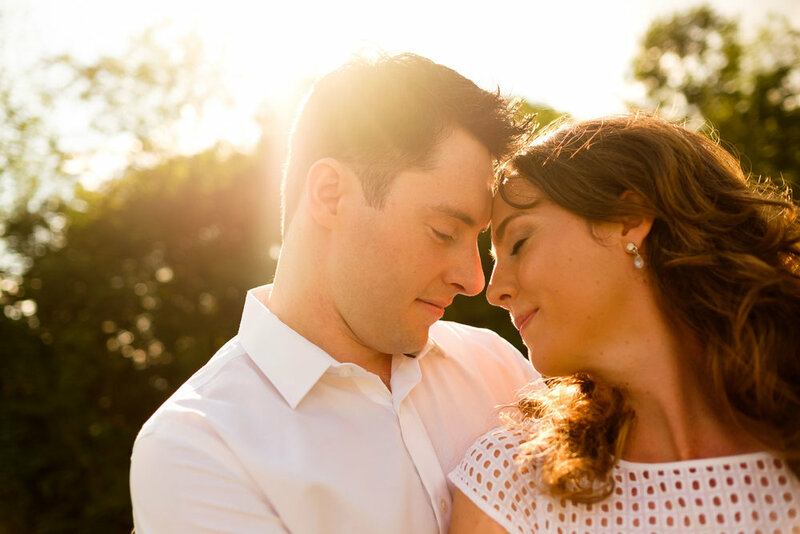 We then headed off to the Evergreen BrickWorks for portraits with Melanie & David and the wedding party. 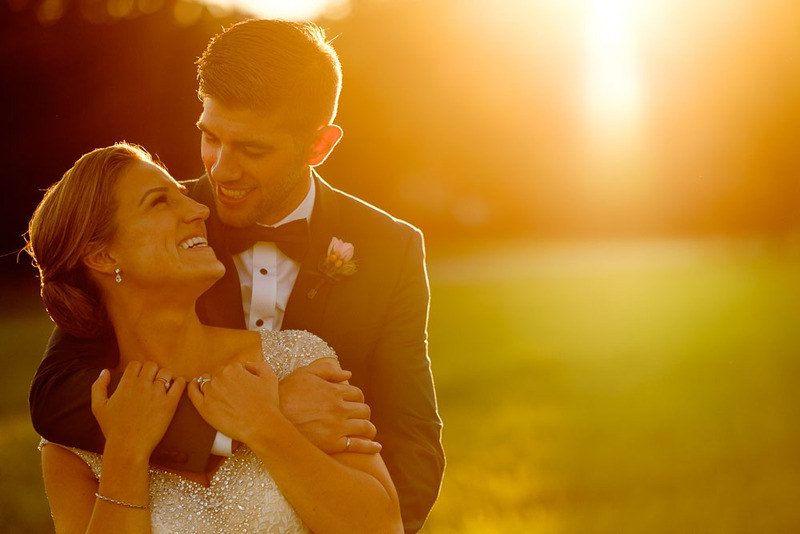 Check out some of my favourite wedding pictures above as well as their full wedding slideshow below! 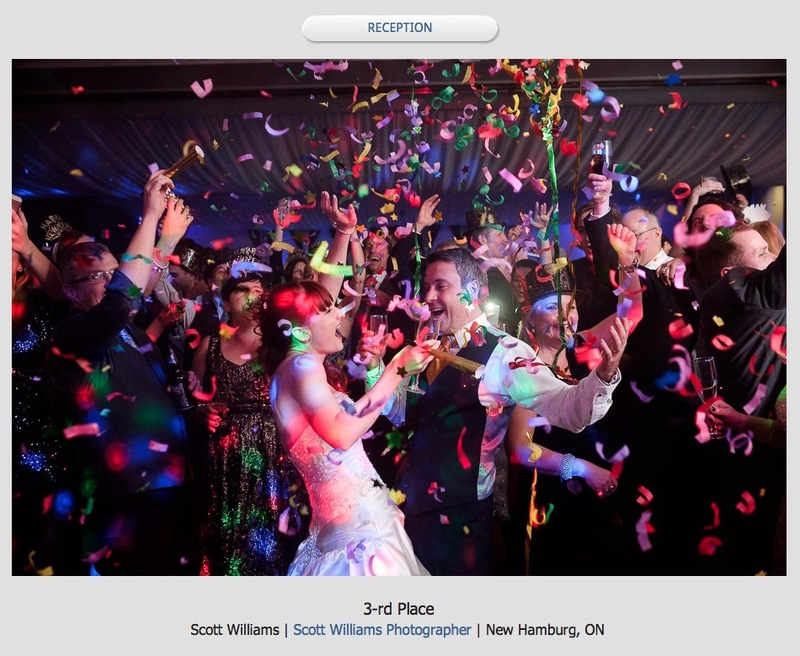 If you have the password to their wedding gallery, you can check out the complete set of pictures here. 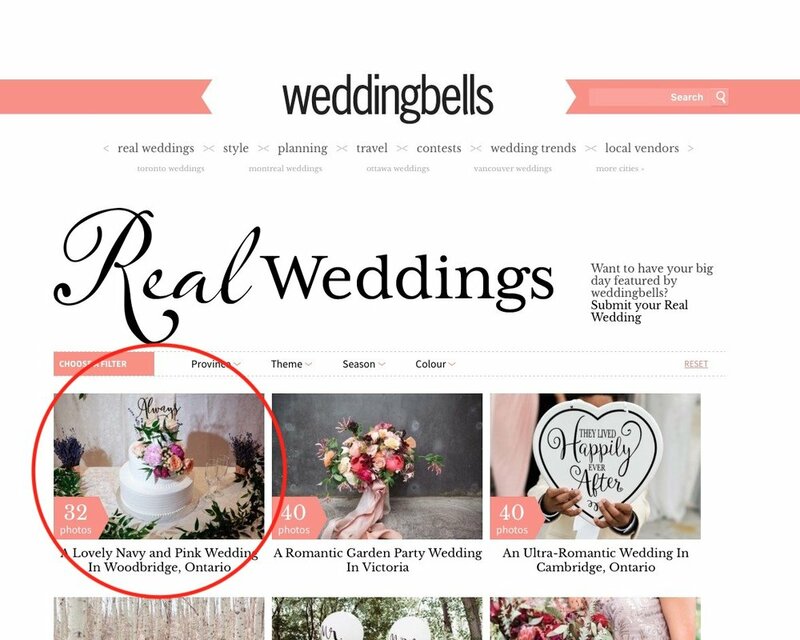 Danni + Felipe's fantastic Fermenting Cellar wedding in Toronto's Distillery District has been featured on the WeddingBells.com website! 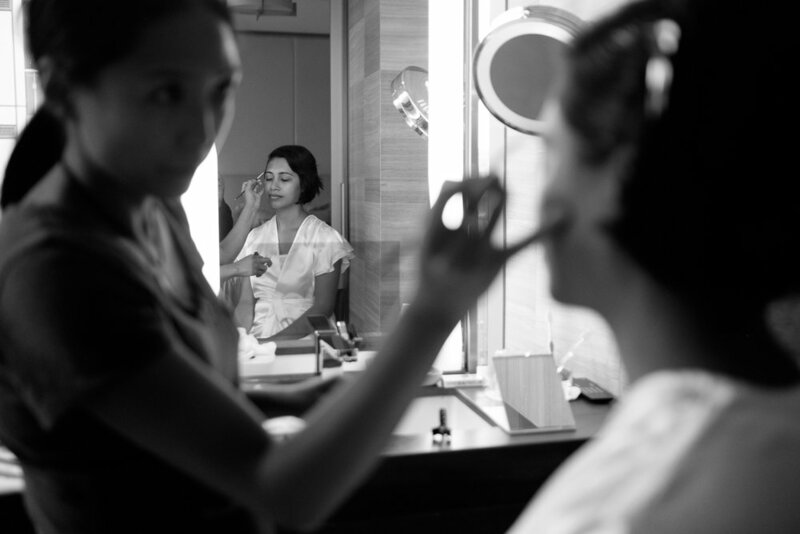 You can see the complete post on their romantic and intimate wedding here. 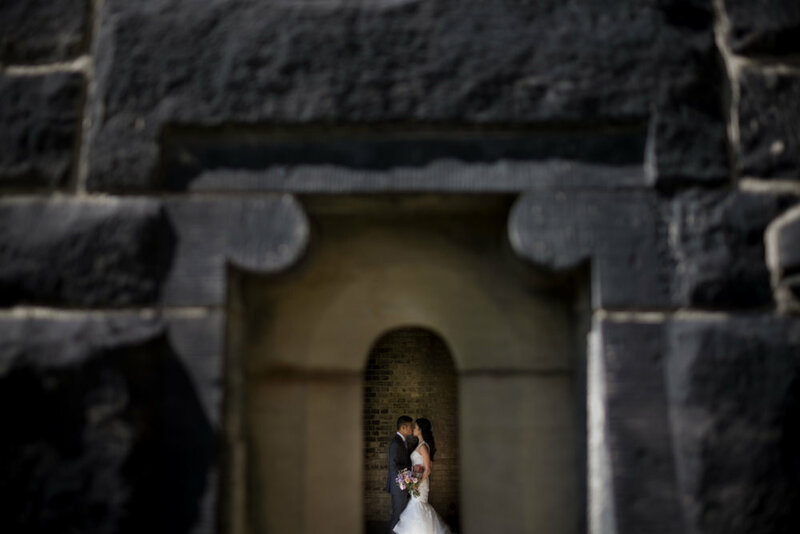 And be sure to check out my full blog post on their amazing wedding!